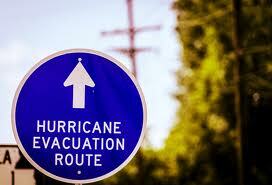 June is the beginning of the Hurricane Season and with them come tornadoes inland. If you live in an area hit by either storm type, take heed! We learned a lot about disaster prep here in Texas after Katrina. The ESRD Network members got together and produced a great website and accompanying materials. They started the TEEC, Texas ESRD Emergency Coalition. See their website for very important and valuable information! Woman who requires #dialysis was rescued from Plaquemines Parish and taken to the hospital…so important to evacuate when you are told to! You’d think someone in a hurricane-prone area would know better but perhaps she’s new to the scene or too old and feeble. Who knows? Don’t wait to look for these phone numbers in an emergency. That’s too late! Write down the number for your center and provider, doctor, hospital (and alternative site in case of a major disaster), etc. Place that information in a waterproof bag and keep it handy. Keep your emergency phone numbers handy. When bad weather threatens, contact your local facility and follow instructions they may provide. In a disaster, Fresenius Medical Care offers a patient hotline at 1-800-626-1297 for patients who need help finding the nearest open dialysis facility. The hotline is staffed by customer service specialists who can provide locations and contact numbers for alternate facilities, if necessary. Carry your up-to-date personal information with you at all times (ID, medication and allergy lists, insurance, emergency contact information, type of dialysis treatment). Talk to your doctor and family about your evacuation plan — what you should do and where you should go if a disaster strikes. Keep track of local weather forecasts. Create an Emergency Kit with emergency supplies and at least one extra three-day supply of medicines. Many patients find it convenient to keep medicines and medical supplies in an easy-to-carry fanny pack or backpack. Store a three-day supply of food based on your emergency meal plan. Speak with your healthcare team about when to begin following your emergency plan. Limit fluid intake to two cups per 24 hours and avoid fresh fruit and vegetables. Periodically check expiration dates of food items in the kit and replace when needed. Also, the Kidney Community Emergency Response Center (part of the ESRD National Coordinating Center) has a newly released website. Check it out. There’s a lot of valuable information. Here’s the rub. In an emergency, you may not have time and the power may be out so you can’t find these sources when you might absolutely need them. So, write down these important phone numbers. In case of a natural disaster and phone service is not available in your area and you have to evacuate, you may finally get to cell services and be able to make the calls. I keep a backpack with all my information such as machine settings and such and all my important papers. In case of emergency, I can grab the backpack and run. Also, I am registered with the local emergency services with our county so they are aware that I’ll need to get to a dialysis center within a couple days. All this advanced planning will make an impossible situation more possible. Don’t put if off any longer, consider the risks and prepare accordingly. This entry was posted in activism, dialysis, Dialysis Center, Dialysis Patient Citizens, dietary restictions, disaster planning, DPC, ESRD, Home dialysis, Insurance, New Patient, patient care and tagged CKD, dialysis, disaster planning, education, ESRD, hemodialysis, kidney, patient, Texas, treatment. Bookmark the permalink. It’s good to be prepared for such emergencies. I am sure your post can help a lot of people in your area. Where I live here in Australia we have to be prepared for bush fires during very hot, dry months. And of course some parts of Australia can be flood prone. We are lucky in Australia in that the emergency services always give up to date information on-line and on local radio.